The Canon EOS 7D entered in the market in September 2009 after some month full of any kind of rumors and anticipation on the functionality and the adopted technology. Since the first days the feature of this new semi-professional model have gained the attention of all that photographers looking for an high level camera at reasonable price. The 18MP sensor, a shutter performance up to 8fps, ISO sensibility reaching 12.000 and the full HD 1080 video recording are only some of the main features that Canon adopted for this new born. I’ve purchased the body at the beginning of 2010 in substitution of my previous Canon EOS 20D after a two years life of appreciable work. The first impressions have naturally been egregious, and since the first touch my positive sensations on the build quality and robustness have been continuously confirmed. Even considering the 20D literally a jewel thanks to all the features an amateur could desire, the EOS 7D represent an astonishing step forward to the future. The button layout is amazing. The Canon’s designers have done a great work to position everything in the right position without loosing the elegance of the Canon’s cameras. Due to the amount of functions and customization options the number of buttons and wheels are incredible, but the basic functions are all where they have to stay and the rest not too far from them. Thanks to my previous experience with the 20D I needed only some seconds to feel comfortable, and only some days to feel free to do everything with my fingers. CMOS sensor with a resolution 18 MP APS-C with a crop factor of 1,6x. Shutter frequence up to 8 frame per second and 126 consecutive JPEGs or 15 consecutive RAWs. A 14-bit colour depth in RAW format. Shutter speed from 30 seconds to 1/8000 and B. Silent shooting feature to use the camera in long exposures without the mirror lock-up. ISO sensitivity from 100 to 12.800. 100% viewfinder coverage with the all the main information available near the image. Intelligent Focus Color Luminosity metering system (iFCL) based on 63 zones and a two layers architecture for bright and perfect colours and luminosity. Dual DIGIC 4 chips processor to reduce the noise on the pictures, optimize the battery consumption and reducing the time to shoot from turned-off to 0.4 seconds. Full HD 1080 video recording with audio up to 30fps. Integrated speedlite external flash transmitter. Integrated wide angle flash covering up to 15mm. Ultra bright LCD monitor with Clear View II technology to show high resolution images also with the sunlight. Live view shutter mode enables to use the rear LCD display to see what the camera sees. 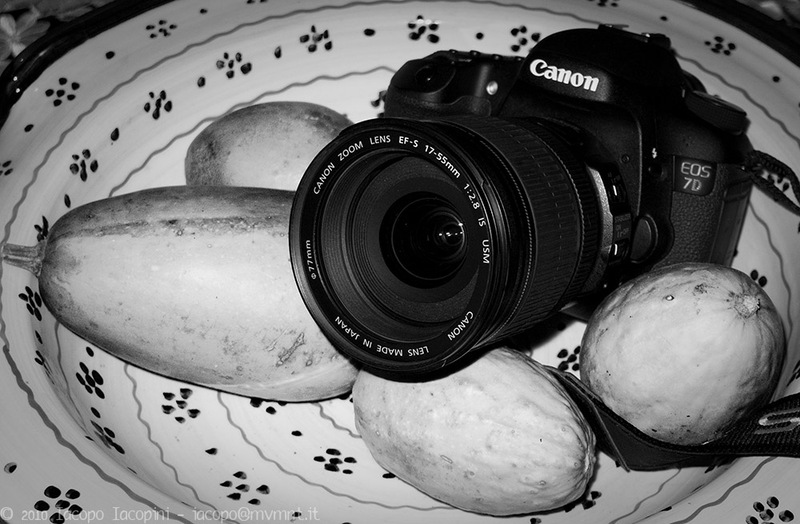 Rugged magnesium alloy body to resist to hurts and shocks coated with the same material used for the EOS 1 series camera. EOS Integrated Cleaning System (EICS) to reduce dust generation. Memory cards: Compact Flash 1 e 2. Lens mount Canon EF o EF-S. Battery pack LP-E6 up to 800 shots (CIPA standard). Dimension 5.8 x 4.4 x 2.9 in (148 x 111 x 74 mm). Weight: 33.3 oz (945 g) including battery. Description: The Canon EOS 7D entered in the market in September 2009 after some month full of any kind of rumors and anticipation on the functionality and the adopted technology. Since the first days the feature of this new semi-professional model have gained the attention of all that photographers looking for an high level camera at reasonable price. 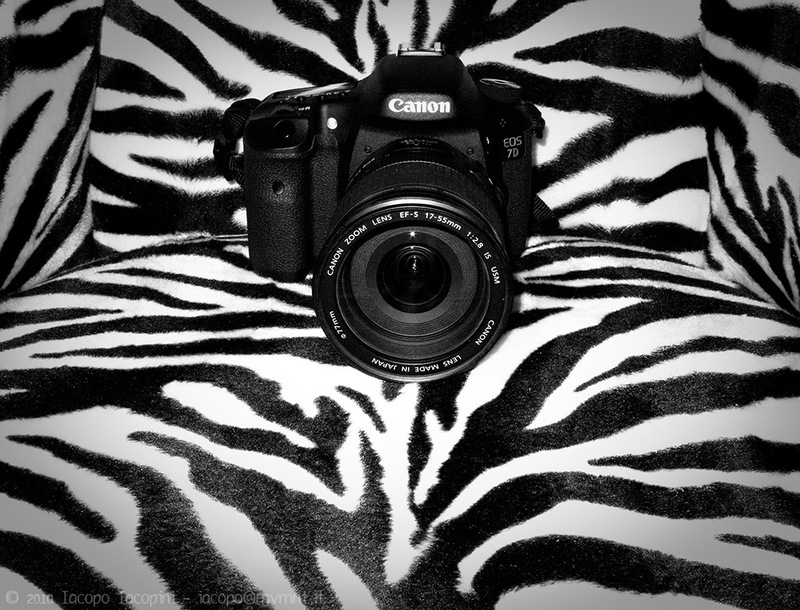 Tags: 7D, Canon EOS 7D, digital, digital camera, DSLR, EOS 7D, features, review, test.